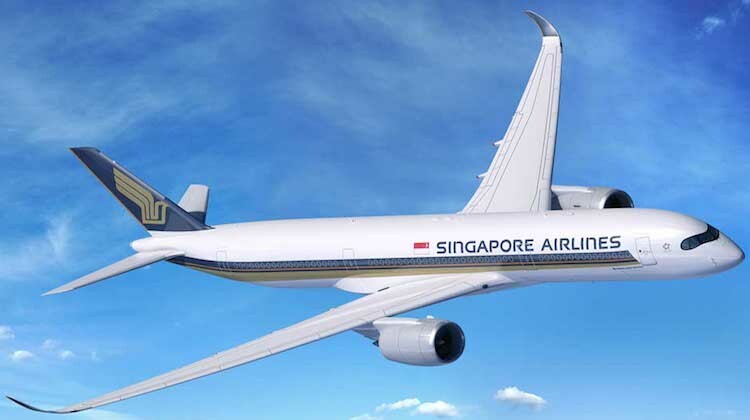 Singapore Airlines (SIA) says it will resume nonstop flights to the United States in 2018 as the launch customer of a new ultra-long-range variant of the Airbus A350-900. The new variant, called the A350-900ULR, was unveiled in Toulouse on Tuesday (European time) and will have a range of up to 8,700nm. “Our customers have been asking us to re-start non-stop Singapore-US flights and we are pleased that Airbus was able to offer the right aircraft to do so in a commercially viable manner,” SIA chief executive Goh Choon Phong said in a statement. SIA ended its non-stop Singapore-Los Angeles and Singapore-New York (Newark) flights, which were operated by Airbus A340-500s, in 2013. At the time, the airline said high fuel prices had made those services uneconomic to operate. Since then, the Star Alliance member has been searching for a suitable aircraft to resume those nonstop services to compete with the likes of North Asian carriers such Cathay Pacific and those based in the Middle East, which serve multiple points in the US nonstop. Currently, SIA flies to Los Angeles via Tokyo, San Francisco via Hong Kong and Seoul, New York (JFK) via Frankfurt and Houston via Moscow. The airline has said previously a lack of available traffic rights from intermediate points has made it challenging to add extra one-stop flights to North America. 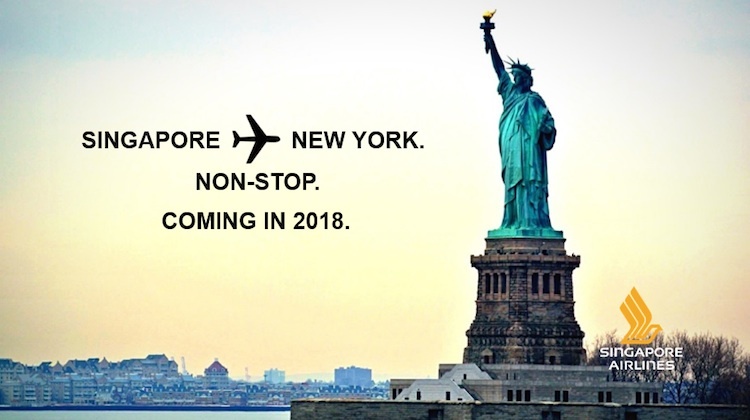 The Singapore-New York (Newark) route, which clocks in at 8,285nm, was the world’s longest nonstop passenger flight before SIA ended the service in 2013. Singapore-Los Angeles is 7,621nm. “Non-stop flights between Singapore and additional points in the US are also under consideration,” SIA said in a statement. Deliveries of the A350-900ULR, which will feature a modified fuel system to increase fuel capacity within the existing fuel tanks (from 141,000 to 165,000 litres) and an increased maximum takeoff weight (280 tonnes), were due to begin in 2018. Airbus said the “unique flexibility” of the A350 design “allows operators to reconfigure their A350-900ULR to the standard long-haul A350-900 specification should they require it”. SIA has changed its A350-900 order book to include seven of the A350-900ULR aircraft. The airline has also exercised four of its 20 A350 options to increase the number of firm orders of the type to 67. The first A350-900 was expected to be delivered in early 2016, SIA announced on Monday, with Amsterdam the first permanent destination, after initial services to Jakarta and Kuala Lumpur. “We are excited to be working with Singapore Airlines to re-launch its premium non-stop service to the US,” Airbus chief Fabrice Brégier said in a statement. Perth to London with a full load,7818.18 nautical miles. It could do Melbourne to Chicago -8409.95 nautical miles. Any word on the reasons for the snail’s pace rollout of the 350? Probably so they don’t end up in the same situation as Boeing with the 787. These ultra-long range aircraft from both manufacturers may just wrest some of geographic advantage away from intermediate Asian and Middle-Eastern locations and their resident airlines. It is always going to be hard to carriers in Australia, NZ, and even Singapore (in the case of U.S. flights), to overcome the disadvantage of being at the terminus of long routes with little through traffic unless non-stop services become a reality supported by suitable aircraft. Sydney – Broome London would be feasible (with Broome-London Heathrow being 7443.65 nautical miles, but there could likely be uplift conditions at Broome airport due to the hot weather. A far better combination would be Sydney-Perth-London giving the additional uplift of Europe bound passengers from Perth. 787 and A350 both had some set backs already and Boeing’s 787 really copped an eye full of it, whereas the A350 has been minor by comparison. Airbus had wing problems with A380 remember so they’re taking no chances with A350.